venerdì 19 settembre 2014 presso il fablab spqwork (Via Ignazio Pettinengo, 7/9 - ROMA) proiezione del documentario sui maker . Friday, September 19, 2014 at the FabLab spqwork SCREENING of the documentary about the creator . "Maker" is a feature-length documentary on the Maker Movement and its impact on society, culture and economy in the U.S.
We are the team who made Design & Thinking, a film that inspired audiences worldwide. Our next film “Maker” is a feature-length documentary that looks into the current Maker Movement in America - a new wave of Do-It-Yourself and Do-It-Together culture fueled by passion and powered by the advent of new technologies. ABOUT THE MOVIE From the time our team of four first showed Design & Thinking in LA in early 2011, it has been screened at more than 300 events across 40 countries – inspiring tens of thousands around the world. In the two years since we completed that film, we have pondered the question many audiences asked, “What’s next!? We aim to answer that question with our follow-up effort. 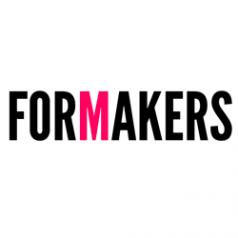 'Maker' is a feature-length documentary that looks into the current maker movement in America – a new wave of Do-It-Yourself and Do-It-Together fueled by passion and powered by the advent of new technologies. The 'Maker Movement', sometimes called the 'Third Industrial Revolution,' subverts traditional manufacturing by building on innovative concepts such as open source, local manufacturing, crowd funding, and digital fabrication. Breaking the hobbyist movement stereotype, 'Maker' delves deep into this ecosystem of design and manufacturing in the Internet era. The film explores the ideas, tools, and personalities that are driving the Maker Movement – and returns with a timely snapshot of one of the transforming influences of the current age. We have conducted extensive interviews of key figures behind headline-making projects, daily practitioners, and observers of the movement, in our effort to piece together what this ecosystem looks like, and present insights on how it can impact society, culture and the economy in the U.S., and the world..
Dale Dougherty: CEO of Maker Media Inc.
Tim O'Reilly: Founder of O'Reilly Media.